Open daily from 6:30 a.m. to 10 p.m.
(SPOT.ph) Braska, derived from the street’s old name, "Nebraska," is a paean of sorts to the old Malate. Think stately turn-of-the-century mansions, acacia tree-lined streets, and the faithful dressed in their Sunday best. It was a time when life was lived as gracefully as one can. But this contracted name also suggests that it’s a place that’s very much now. 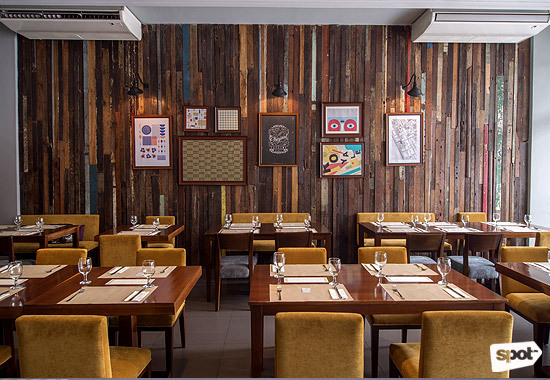 Located along Jorge Bocobo Street, Braska’s contemporary interior sets the tone for what they have to offer. Done in the color of stone, the restaurant feels like a cocoon where you’d like to linger over good food and a cup of coffee for hours. It is further warmed by an accent wall featuring wood planks salvaged from the house that used to stand on the site. 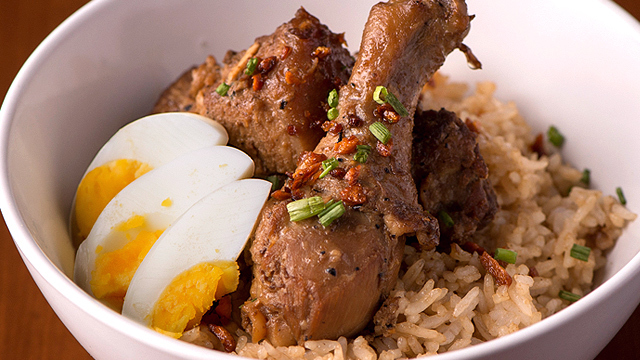 It's executive sous chef Poch Hogar who has the fun task of twisting usual Filipino flavors in new ways. 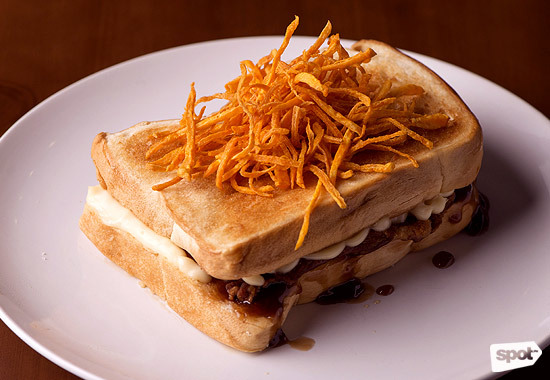 With breakfast, for example, she adds local flavor to a universal favorite in the Guava Jelly French Toast (P245). It's French toast filled with guava jelly and served with cream cheese and bacon. 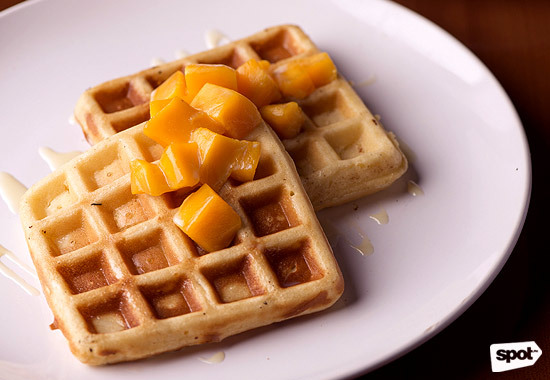 Other Western favorites, like waffles, also get a Pinoy upgrade. 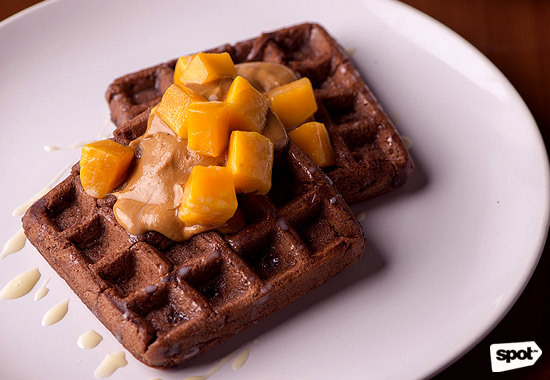 An island vibe is thrown in in the Tropical Waffle (P225), which is topped with mangoes, coconut syrup, and coconut flakes, while the Tablea Waffle (P225) is made extra luscious with local cacao. 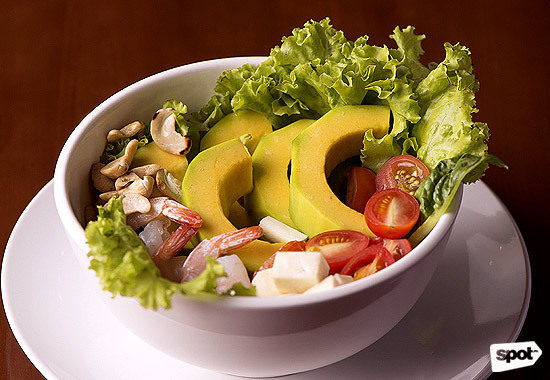 While the Shrimp Avocado Salad with Cilantro (P235) is a refreshing beginning, it's the Longganisa Meatballs (P325) that will threaten to make your appetite surrender. 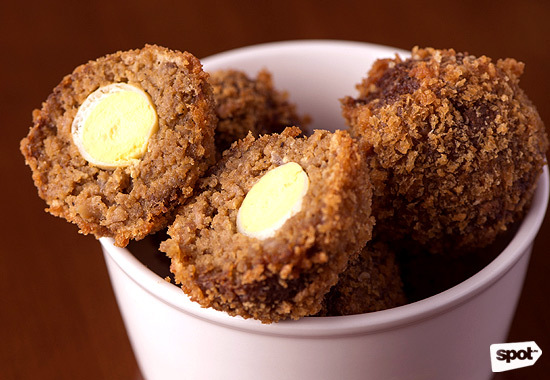 They're essentially scotch eggs made using local sausages. No Filipino restaurant worth its salt would leave adobo off the menu, and Braska comes up with a plated, gourmet version of their own. 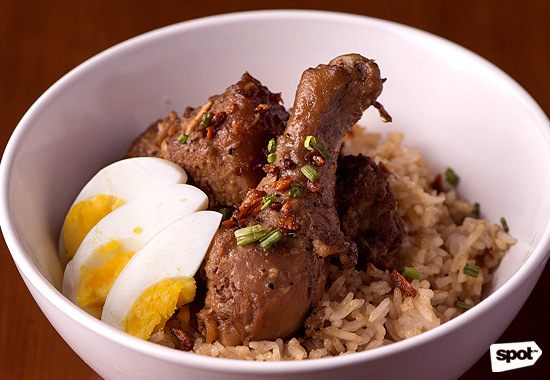 They have Adobo Rice (P315) that's served with crispy adobo flakes (a perfect contrasting texture to the soft rice) and, for an upscale touch, a delicate quail egg. 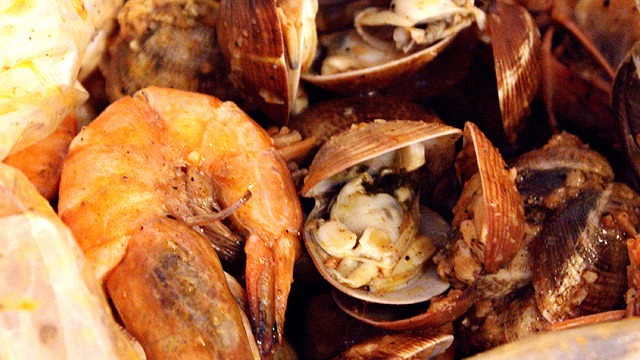 What Braska is good at is integrating Filipino panache without feeling contrived. Their desserts, especially, demonstrate this. 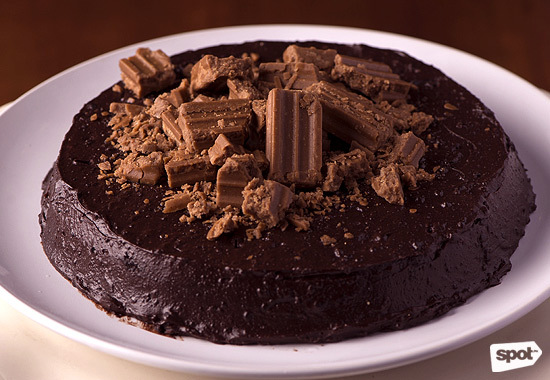 The Choc-Nut Cake (P140/slice) is pure comfort, but the scene-stealer is their Calamansi Tart (P145). 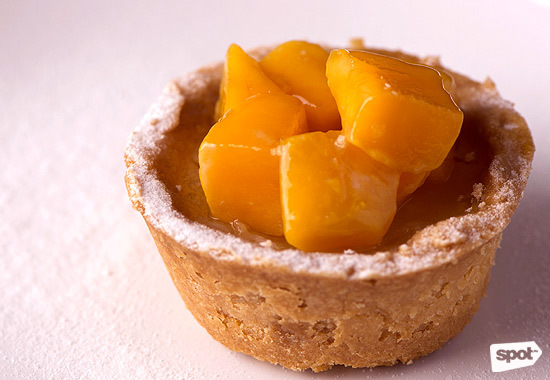 Calamansi custard is smoothed over a golden crust then dusted with confectioners’ sugar and topped with mango slivers. It’s the perfect balance of sweetness and tartness—just the right level of sour to make your taste buds tingle. 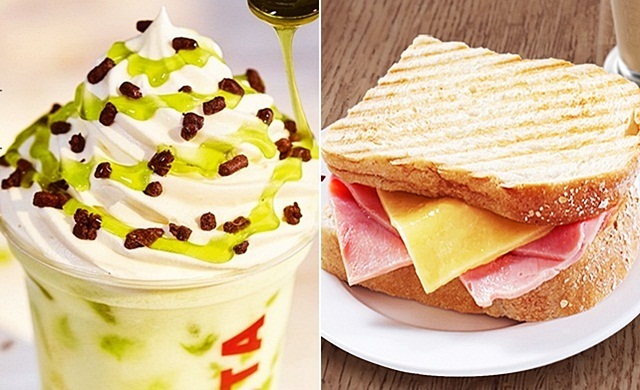 The Café Misu (P175) is certainly an easy favorite. 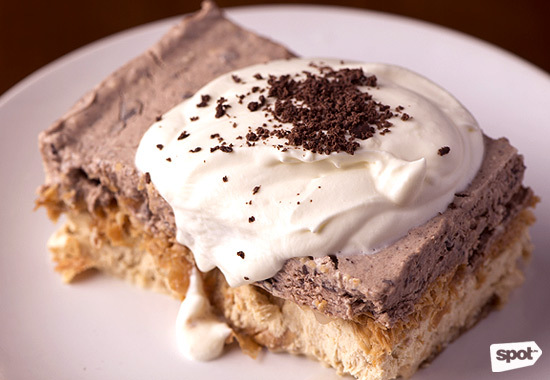 It's made with Braska house bread, chocolate, chocolate cream, and whipped cream. Is it breakfast, dessert, a snack? It doesn't really matter. You can enjoy it any time of the day. New flavors and charming interiors are Braska’s draws. 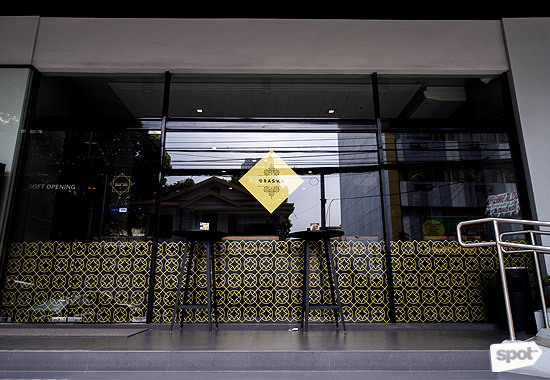 Its streetside location also gives guests a front-row view of life happening in Bohemian Malate. 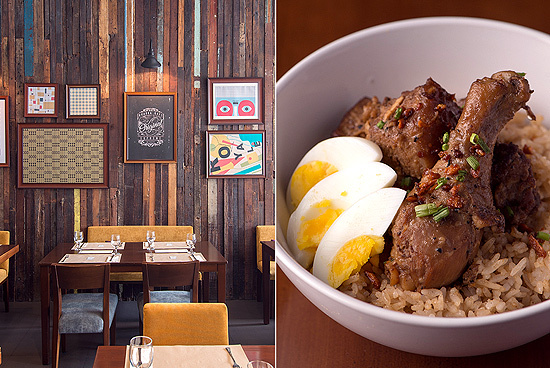 If you want to revisit Manila’s district of Manila, you might want to start here.